I took a short break after Ironman Los Cabos and Oceanside, with several weeks of unstructured training (still swim, bike, run but basically doing whatever I felt like doing). 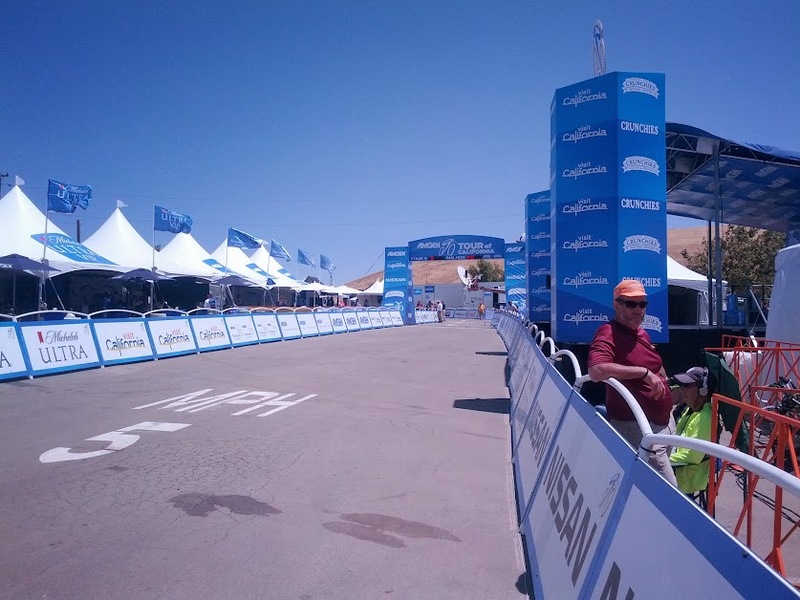 I did some fun events, like the Silicon Valley Long Course triathlon where a marshal sent us the wrong way and I ended up riding 84 miles instead of 56, and I did the Tour of California Time Trial which is a super tough TT course. Anyway, now it’s time to get back to serious training! There are only 4 months before Kona, plus I have this little “race rehearsal” 3 weeks before in the form of Ironman Lake Tahoe… other than that I have no big races planned, so I can just focus on my training. I might do a few local races just to keep sharp though. Oh, and I forgot to mention we are expecting our 2nd child in June – talk about loading a lot on the plate! Swim: maintain form, do lots of open water simulations in the pool, and improve speed. At the moment I am fast enough to swim a 1 hour Ironman swim, I just need to make sure I can do it in open water with 1500 other people… Kevin and I have been doing a bunch of OW simulations in the pool at work (like 4 of use sharing a lane, fighting for position and doing a lot of drafting), which is making a big difference. Bike: I’m going to do several high intensity blocks over the next 2 months, with the goal of increasing my threshold power (currently around 310 watts, would be nice to get it up around 330). Then August / September do more endurance and race specific prep. Run: focus on frequency with 6 runs a week, about 40 miles, building up weekly mileage as high as I can, with gradual increases. Once August hits, will focus more on race specific prep, and incorporate heat prep. I’m a big user of Training Peaks, and their performance manager chart is a very useful tool for me. I plan my volume around a constant and gradual increase in critical training load (CTL), and building in enough recovery, measured by the training stress balance (TSB). You can see from the chart below that I’m only just ramping up the volume now. The pink line is my short term workload (7 day average) and the blue line is long term (42 day average). You can expect to see a decent increase in the blue line over the coming months, with a few spikes in pink.